Blue C has initiated an expansion of its agency for 2017. The first expansion is set to begin in March with the addition of a Salt Lake City satellite office in downtown Salt Lake amongst the trendy “Sugar House” area. This new expansion will be head by Dana Zamalloa. Zamalloa has been working with the Blue C Costa Mesa office for four years and will now be expanding her role to lead a new area as Director of Marketing Partnerships and Agency Director of Blue C Salt Lake. Zamalloa has an extensive 17 year advertising and marketing background. She has earned a Bachelor’s Degree in communications with a minor in political science from the University of Las Vegas (UNLV). 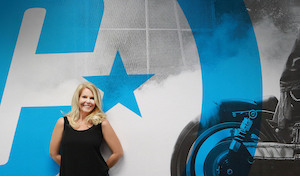 Some of her more high profile achievements include: Fast and Furious 7 – “Race Wars” scene event creator and consultant, heading up marketing, PR and sponsorship division for Velocity reality TV show, West Coast Customs, and managing athletes including X- Games gold medalist, Coco Zurita. Zamalloa has held roles as Senior Communications Manager at Toyo Tires for eight years, Marketing, Communications and Advertising Manager at Continental and General Tire for five years and started her own marketing company in 2012, heading up the Infusion Marketing division for Blue C in Costa Mesa, CA. At Blue C, she dedicated her efforts on working with clients that include: VF Image Corporation – Red Kap Auto and Red Kap Construction as well as Auction.com. Look for more exciting announcements and events throughout 2017 as Blue C shifts into another gear.